Metal straws, while designed to be a positive solution to the plastic pollution problem, have stirred up quite a controversy. But the pros of metal and other reusable straws far outweigh the cons. By making the switch to reusable straws, consumers are making a pledge to be more environmentally conscious. Plastic straws are known to contain BPA, a harmful chemical that increases the risk of health problems when it leaches— when one substance coming out of another substance when water runs through it— into the bloodstream from straws and other plastics. In addition, plastic straws are one of the hardest plastics to recycle, and most of the time they are not recycled, so they take up space in disposals for garbage. What’s most concerning, though, is that plastic straws don’t always end up in the garbage or recycling bins. Straws litter the ground and end up in the ocean, endangering both humans and wildlife. 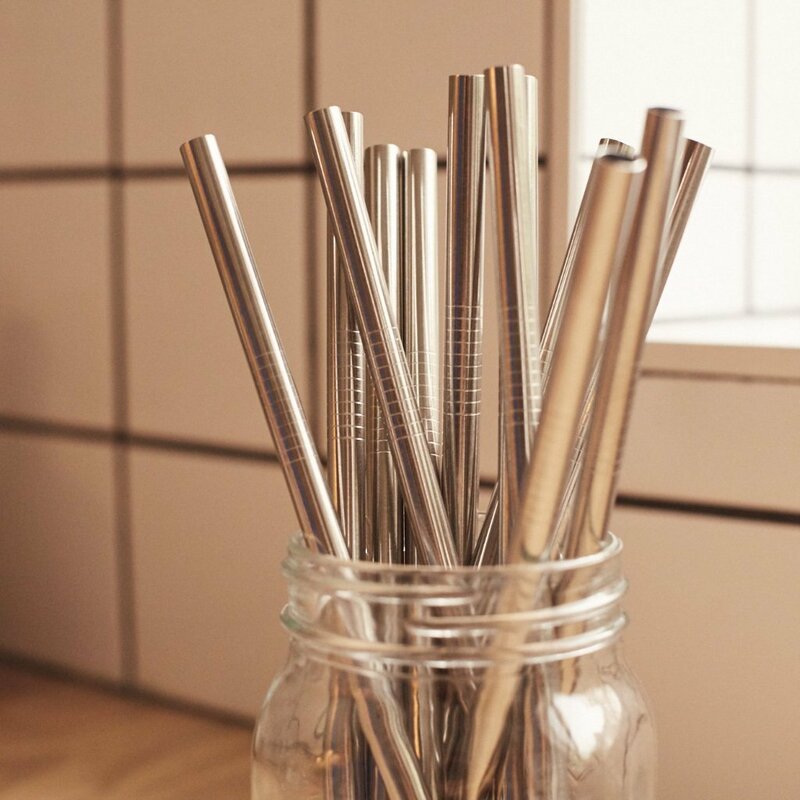 Using stainless steel, bamboo, or glass straws is much better for the health of the environment and the person using them. In the past few months, advocacy groups have taken to social media to further emphasize the point that single-use plastic is harming our world. Advocacy groups do this by sharing videos of wildlife being negatively affected by plastics. The one post that stood out to me and reinforced my decision to switch was a video of a plastic straw being pulled out of a sea turtle’s nose. The video documented a worst-case scenario, but the point is still there: animals are incapable of avoiding the effects of human’s activities, and most times those effects are life-threatening. Before this video went viral, the movement did not have as many followers; the straw revolution did not take off until this video surfaced. A popular alternative to plastic is glass. While it might be daunting to carry around glass straws, most available versions are made from tempered glass to prevent breakage (and in extreme cases, melting). Perfect for people who want to see that their straws are clean inside, glass straws are also free of any harmful chemicals. For me personally, the straw that is the easiest to switch to is the stainless steel version. This plastic-free alternative is made from medical-grade and food-grade stainless steel that does not leach into the drinks and food it is placed in. In addition, stainless steel is the most durable (when cared for properly) and it resists oxidation and corrosion, so it will last for years! Supporters of plastic straws have argued that reusable straws are inconvenient, but reusable straws come in packs of more than one, so throwing one in each of your bags is easy. Additionally, opponents of the reusable straw movement claim they are not made for people with disabilities because they do not bend and sometimes they are not physically able to wash them. I have nothing to counter this argument, and I believe the reusable straw movement should not force people who literally cannot live without single-use straws to go without them. That being said, there is not a reason why someone who is capable should not switch to reusable straws. Obviously one person or even a country of people making the switch is not going to reverse the effects of global warming or save all the sea turtles, but it makes people more conscious of their decisions that affect the health of the earth. If changing to reusable straws is going to make even a small difference in this part of the world, then you can bet I’m going to.